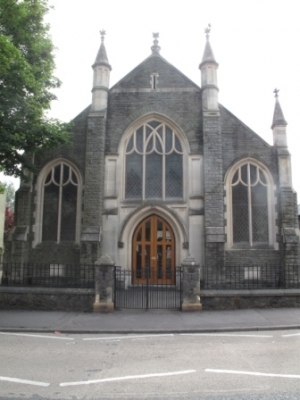 The history of the development of the Society and buildings of Whitchurch Methodist Church are described elsewhere. of the village is enclosed by the M4 motorway. 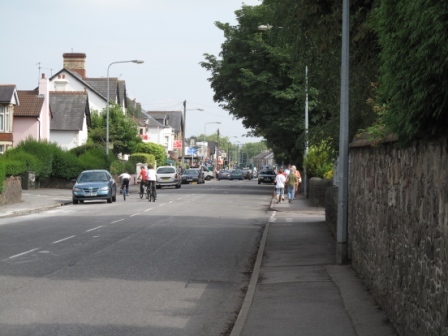 The village has a central main traffic corridor called Merthyr Road/Penlline Road/Park Road and stretches for a period of about one mile in length. 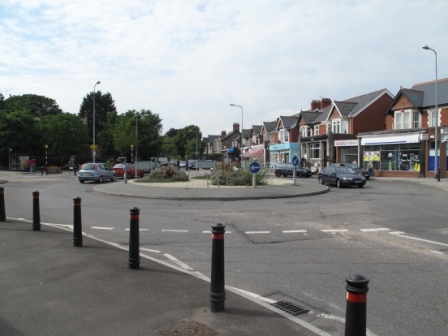 The central area is the main shopping precinct about 500 yards south of the Church. A further, smaller, shopping precinct is adjacent to the Church. The Church entrance is found in Penlline Road with the modern side entrance in Kelston Road. The main entrance leads into a foyer as a reception area. An interesting reminder of the origins of the Society can be found in a small display cabinet. These are examples of the original crockery belonging to the Melin Griffith Sunday School.The Stewards' Vestry is adjacent to this area and contains the audio and lighting controls for the Church Sanctuary. 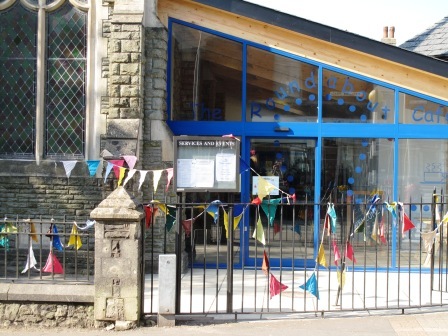 We have recently developed a Coffee Shop in the space between the Church and the Kelston Hall. The building also included a disabled toilet in the Foyer for the use of the Coffee Shop and the Church. There is a new doorway between the Church Foyer and the Coffee Shop to allow access. The photograph shows the new doorway that was constructed following removal of the lower part of a Church window. The facing of the doorway and lintel has been constructed in Bath stone to match the original building. All the stonework and stone facings have been cleaned and now form a feature within the Coffee Shop. The Coffee Shop has seats for thirty people with space for wheel chairs, Children's buggies etc. 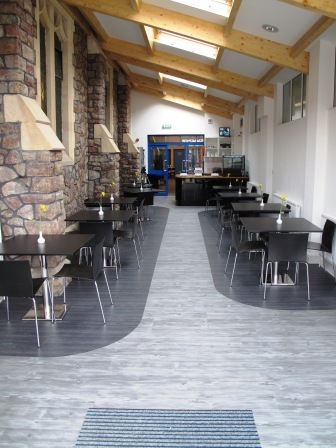 A servery area is incorporated in the design but the main cooking facility is provided within the adjacent Church kitchen. A Church vote was held at the time of the opening of the Coffee Shop to find a suitable name. The winning vote, by a large majority, was "The ROUNDABOUT CAFE"
The rostrum area at the front of the Sanctuary can be demounted into a stage area for concerts etc and can hold about 60-70 performers with ease. Full stage lighting is available for these events. The Church seats 200 in its present layout. It is fully versatile and extra seats can be placed in the Sanctuary and the Foyer area. The detached console for the pipe organ is at the right hand side of the Sanctuary. The Communion rail is detachable. The communion rail, communion table, rear cross, preaching desk and the preacher's chair were all made by Prof J. Salaman who was one of the members of the Church. 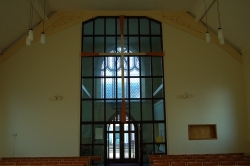 At the rear of the Church, at the top of the glass screen, there is a large wooden cross that is often missed by visitors but becomes the centre piece at the back of the Church. Most of the construction of the screen and the modern frontage of the Church including the redesign of the organ front was undertaken by Church members. A total organ rebuild was undertaken recently with funding in memory of the Perry and Nash Families of Somerset and details can be found elsewhere. Double doors at the front of the Church lead into the ancillary rooms. If you enter the building from the Kelston Road entrance you are met by the appearance of a very modern, open and airy structure that was designed with a "multi-functional" intention. 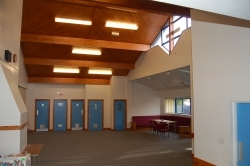 The foyer opens into the Wesley Hall that is the active heart of the space with a high sloping wooden ceiling lit with natural light from high windows centred with a cross that is lit at night. 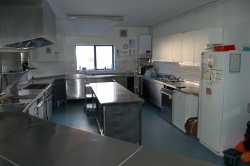 The striking feature is the serving hatch leading to a large kitchen, designed to high standards, and able to produce hot meals for 100+ people. Doors lead off the Wesley Hall to the toilets and the handicapped and Mother/Baby changing facilities. The modern Minister's vestry is also accessible from this Hall. The large screen separates this Hall from the adjacent Hall called the Epworth Hall. This can provide accommodation for about 50 people with ease. When the screen is removed, the combined Wesley Suite will easily seat 120+ people with comfort. Two storage rooms and three small Meeting Rooms lead off this Hall. Adjacent to the Kitchen is an entrance to the Kelston Hall. This is a major asset to the Church as it is the activity Hall for all Youth activities and had been designed and decorated to withstand any activities particularly physical and sporting actions. A basket ball hoop is available as well as a limited badminton court. 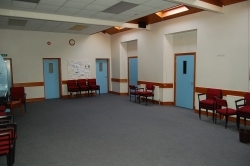 Large storage accommodation is available at the end of the Kelston Hall providing space for the equipment for Youth work and the Coffee Shop. A 8'X16' heavy duty portable stage is available and can be used in any part of the building when necessary. 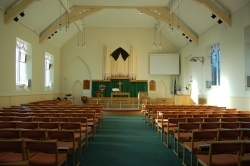 Portable sound equipment can be used in each room and the audio speakers for the Church can be relayed into the Wesley Hall if necessary. 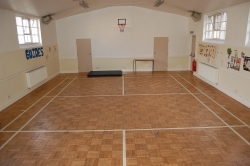 The accommodation gives us the opportunity to support a large variety of functions and allows access for external groups that hire the Hall on a regular basis. 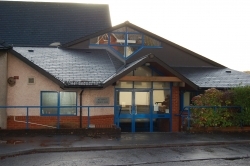 These groups include Kumon maths & English, Wind Band practice, Children's Music and Movement Groups, Flute Groups, Ballet School, Elderly Keep Fit Classes, Special Needs Support, Brownies and Children's Parties etc. Regular Church activities are listed elsewhere. Details of the Hire costs are included. Bookings and further details can be obtained from Mrs. Josie Ketteridge, Tel 029 20691234. The Church Sanctuary is regularly used for Concerts and other Musical Events. The seating capacity is 200 with a dais area able to accommodate about 60 performers.